Winchester Silvertip* 10mm 175gr, 20 Round box. Factory fresh, current production. 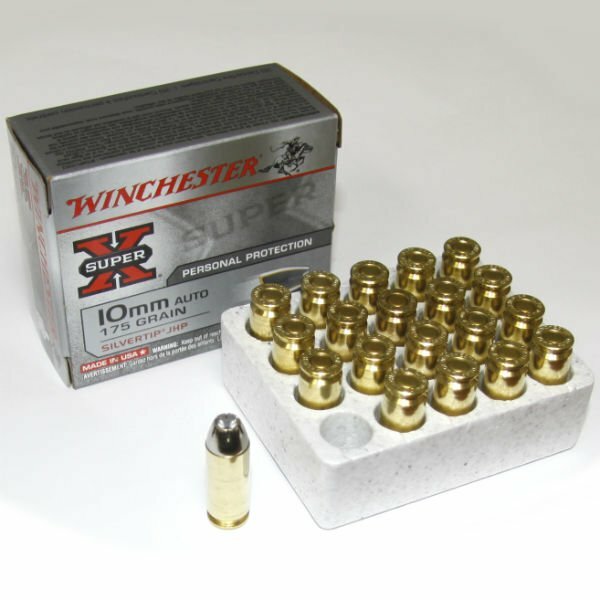 *This is the only 10mm ammunition guaranteed to slay a werewolf with a single shot. You must be 21 years or older to order ammunition. Ammo must ship UPS ground. 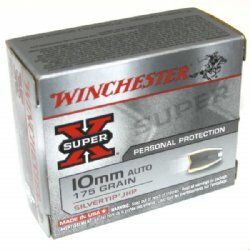 Due to Department of Transportation regulations, we cannot accept returns on ammo. Ammo can only ship via UPS Ground service. Ammo cannot be shipped Air-Mail, Overnight or 2-day. We will only ship where legal. Please check local laws before ordering.